1Why do I need to have a membership to access the forum? Our forum is for members only, the content contained in the forum. Navigate to the My Account page and login using your username or email and password. 3What if I can't remember my password? Navigate to the My Account page and click the "Forgot password" link and follow the directions. 4What if my password reset email never comes? Please email paul@epsfa.com with your issue and we will reset your password for you. 5Can I add pictures to the forum? YES!!! A new feature of the website allows us to add photos. There is a size limitation of 8mb for each upload. If your pictures will not upload, check the file sizes of your images and image settings on your mobile device. 6How does my membership auto-renew? 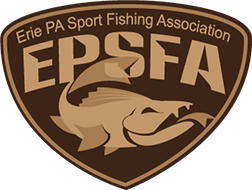 When you sign up for an EPSFA membership, your credit card is stored on a secure, 3rd party payment processor and will renew on the same day exactly one year or 3 years later depending on the membership package you choose. 7Do you store any of my information? 8How do add my payment information to my account for auto-renewal? Navigate to the My Account page and login using your username or email and password. Then click on "Payment methods" in the My Account screen and click "Add payment method"